Sandalwood Oil WA (Australia) - Ultra International B.V.Ultra International B.V. There are over 80 different species in the Santalum genus but only two are predominantly used commercially in today's global markets - Indian sandalwood (Santalum album) and West Australian (WA) sandalwood (Santalum spicatum). 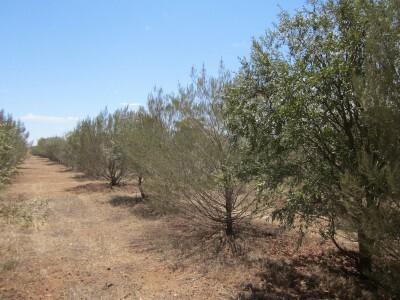 Currently both species account for around 90% of the world's traded sandalwood but in recent times have both faced supply problems due to over harvesting. However this is set to change as we enter the next few years. Australian (Santalum spicatum) is a desert type of tree native to Australia and found predominantly in the middle and southern parts of Western Australia. Sandalwood is obtained through steam distillation of powdered sandalwood many from the lower parts of the tree with the better quality oil coming from the butts and roots.